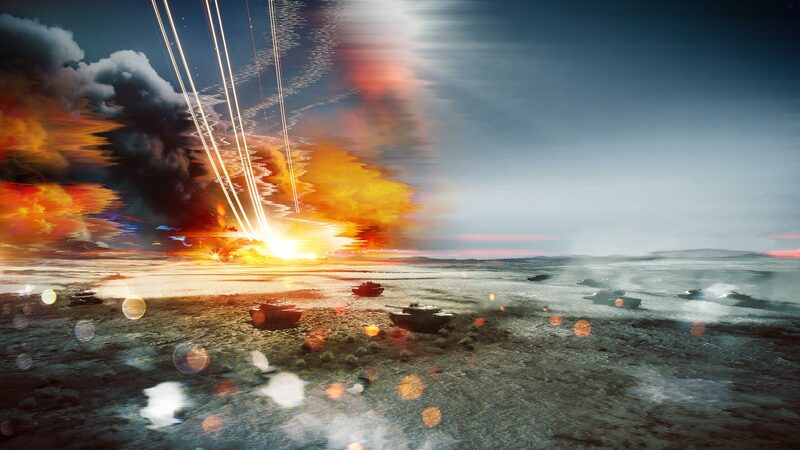 When it comes to online tactical shooter games, EA & DICE’s critically acclaimed Battlefield series is in a class of its own. 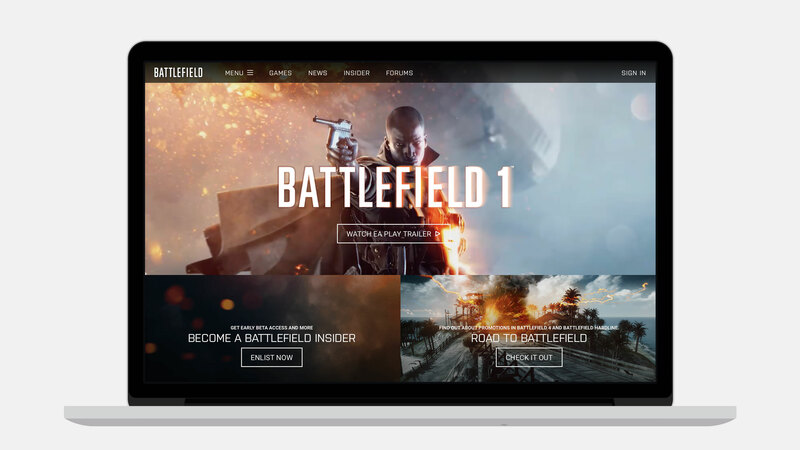 We collaborated with them to help capitalize on their success by moving beyond individual game packs to brand Battlefield as a franchise. 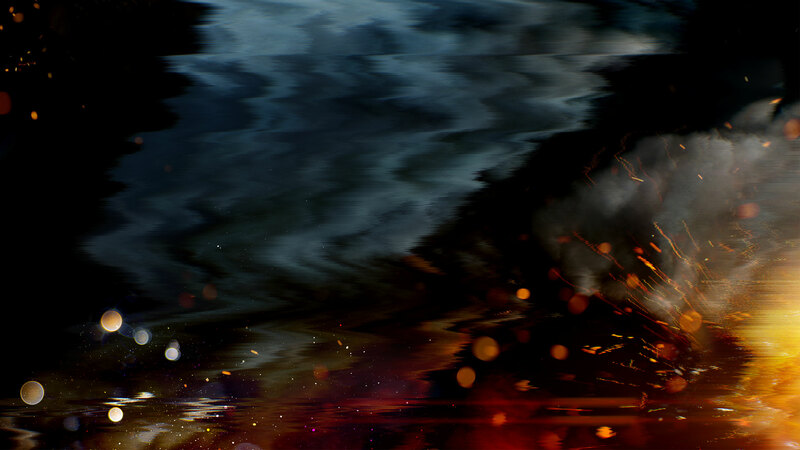 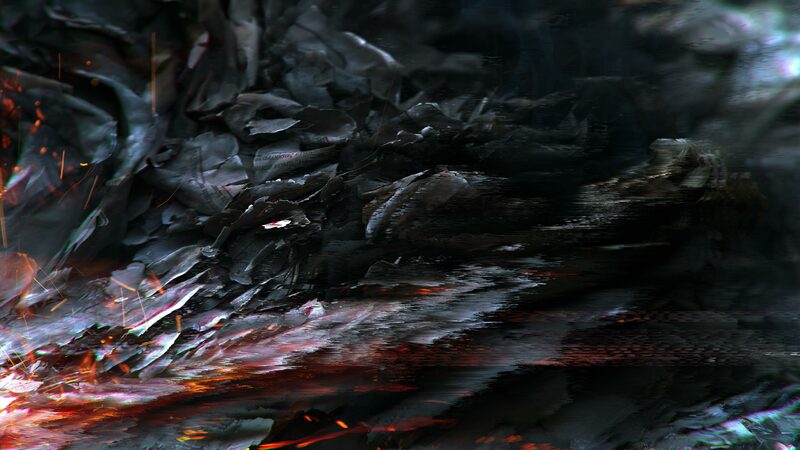 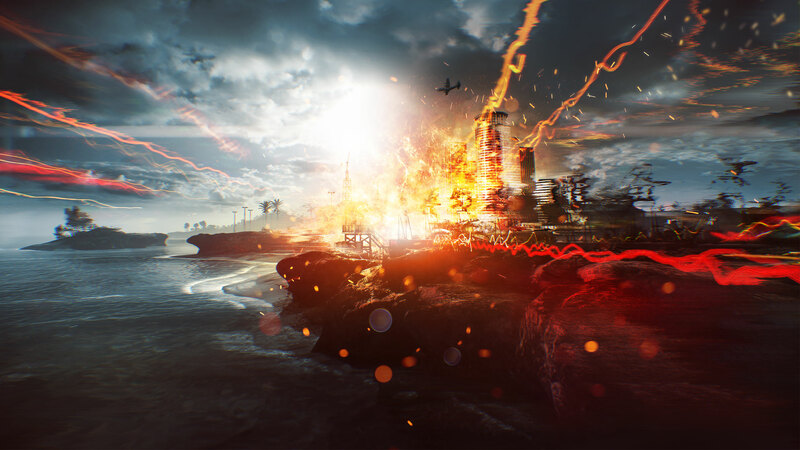 Signature imagery was developed with a focus on the Point of Ignition, the in-game moment that captures the tension of battle, and an immersive shockwave element was introduced to amplify the atmosphere of war. 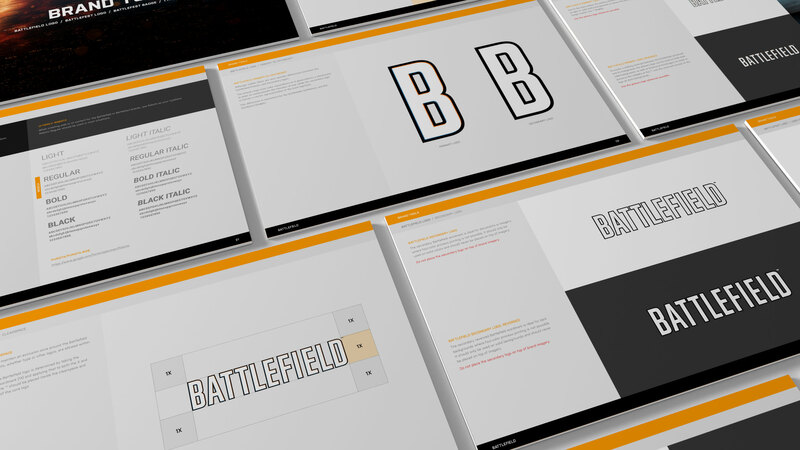 A broad range of tools was created to support the Battlefield brand. 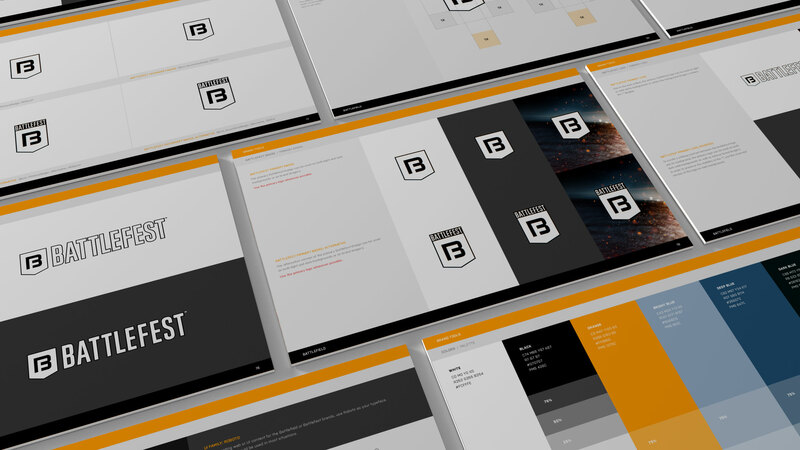 Additionally, an array of background textures was developed to unify the brand across a range of applications. 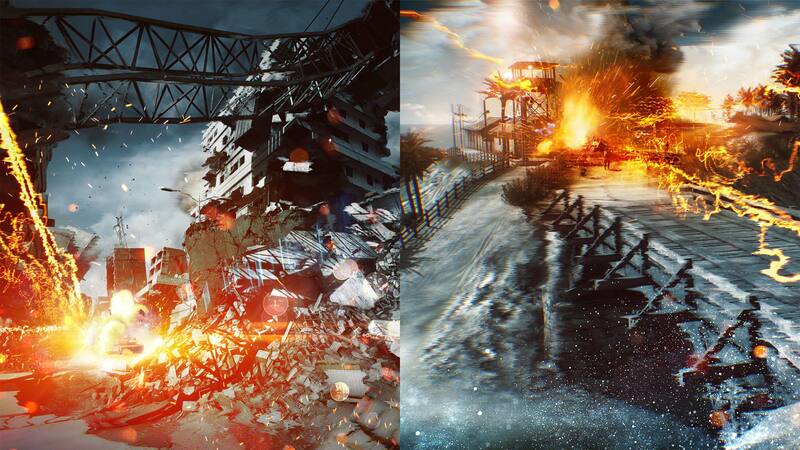 The branding was also extended to Battlefest, the annual festival that celebrates Battlefield’s 65 million gamers.